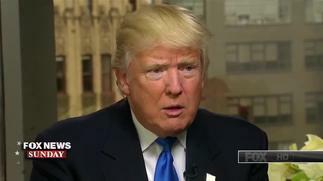 Home World News Trump Says He Doesn't Need Daily Intelligency'Briefing" Because He's 'Smart. Trump Says He Doesn't Need Daily Intelligency'Briefing" Because He's 'Smart. President elect Donald Trump said in an interview airing Sunday that he doesn’t need to receive a daily intelligence briefing, stating he only gets the briefing when he needs it. “I don’t have to be told ― you know, I’m, like, a smart person. I don’t have to be told the same thing in the same words every single day,” Trump said in an interview airing on “Fox News Sunday.” “I don’t need to be told ... the same thing every day, every morning ― same words. Trump is reportedly only receiving an intelligence briefing just once a week . The president-elect said the people who are giving him the briefings are “very good people” and that he was always available if something changed. He also said that Vice President-elect Mike Pence was receiving the briefings.